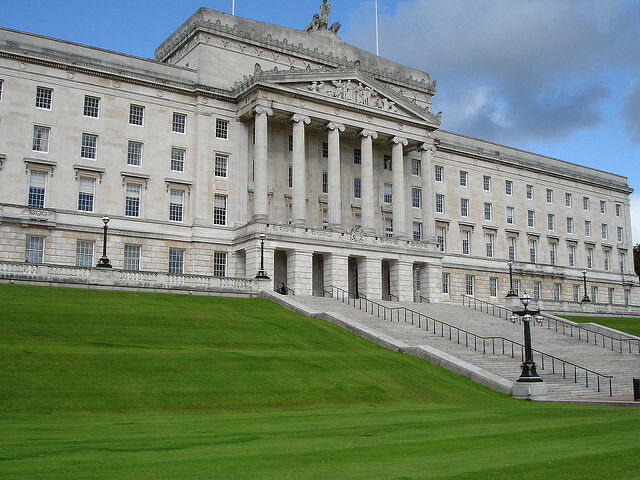 Commonwealth Parliamentary Association: a role in NI Peace Process? The Commonwealth Parliamentary Association: Is there a role for it in the Northern Ireland Peace Process? The Commonwealth Parliamentary Association may well hold the realistic political and economic key to salvaging the Northern Ireland peace process and ensuring that Ireland as an island survives the challenges of Brexit post March 2019 says Dr John Coulter. No matter if the UK and the republic end up with a hard or soft Brexit deal, if the South is not to become financially and geographically isolated from the European Union, then the island of Ireland must be part of an international financial power bloc. As we near the centenary of the signing of the 1921 Anglo-Irish Treaty which partitioned Ireland, perhaps the time has come for a new treaty between the UK and the republic – perhaps the time has come to agree a new Union. Like it or not, Ireland will have to think economically as a united island, not two sovereign states sharing the same geographical piece of turf. Unionism will have to redefine its relationship with the republic and start thinking on an all-island basis, and the republic will have to rethink its relationship with the UK which will involve a much closer alignment. The workable compromise is the CPA, founded in 1911 as the Empire Parliamentary Association with Ireland as a founder member when the entire island was under British rule. After the end of World War Two, the EPA evolved into the current Commonwealth Parliamentary Association which now boasts some 50 plus national and regional parliaments – and not all of them were members of the former British Empire. The faltering Northern Ireland Assembly signed up to the CPA, and while Sinn Féin did not vote against the motion, the party significantly abstained. This always prompted a clear question – if Sinn Féin can work a partitionist parliament at Stormont, would it be prepared to protect Irish citizens – north and south – from any perceived post-Brexit austerity by signing up to associate membership of the CPA? This could be a particular question of note should Sinn Féin achieve its goal of becoming a minority government coalition partner in the next Dáil following the expected Leinster House general election later this year? Unionism must face the bitter reality that it must have a clear working partnership with the republic if Northern Ireland is not to economically deteriorate into a Third World-type state after Brexit. Likewise, the republican movement and Southern nationalism require a reality check that they must put people first above political aspirations. The republic cannot afford another Celtic Tiger collapse after Brexit, leaving the republic with only one viable option – to follow the UK out of the EU, creating the concept of Irexit. The compromise for republicanism and nationalism is that its aspiration of a 32-county democratic socialist republic must be parked in favour of an economically united island. Unionism has an historical basis for such an all-island direction. Following the Williamite campaign in Ireland in the 1690s, the Glorious Revolution established the Protestant Ascendancy on the island. Basically, the predecessors of modern-day Unionism ran the whole island. Surely sensible Unionism would see the concept of the republic joining the CPA as a positive move towards securing Northern Ireland’s position within the UK. Nationalism can also spin CPA membership as creating an all-island solution to Brexit. Clearly too, a credible political vehicle would also be required to deliver such a CPA solution, particularly if Brexit comes about and there is still no devolved Executive at Stormont. Controversially, such a vehicle already exists – the British Irish Intergovernmental Conference, established under the terms of the 1998 Good Friday Agreement. Sinn Féin has already suggested using the Conference, but that is more to suit its agenda of trying to get an all-Ireland via the political back door, especially if Sinn Féin ends up as part of the next Dail government. Naturally, under the present political deadlock, whatever Sinn Féin favours, the DUP rejects. The DUP tends to regard the Conference as a mere talking shop, just as when the DUP favours Direct Rule from Westminster, the republican movement pours cold water on it. While Sinn Féin needs to rethink the role of the Conference, similarly, the DUP needs to re-evaluate its attitude towards the conference. With all the signs pointing towards the British Government introducing some form of Direct Rule in the absence of a Stormont Executive, the Northern Ireland Office would play an increasingly high-profile role in the running of the Province. Under a previous period of Direct Rule before the Stormont Assembly was established, the NIO was staffed by MPs from the British mainland. However, the DUP could use its current relationship with the Tory administration at Westminster to campaign for the NIO to be staffed by Northern Ireland MPs. Tactically, this would suit the DUP as Sinn Féin currently implements its rigid abstentions policy of refusing to take its Commons seats. With the Conservatives also equally divided over Brexit, Prime Minister Theresa May will have to increasingly rely on the 10 DUP MPs to win Commons majorities. This could potentially be another political carrot to encourage the DUP to accept the British Irish Intergovernmental Conference role in Northern Ireland. However, if the Conference is to become a workable conduit to encourage closer all-island co-operation in the run-up to and post-Brexit, the powers of the Conference will have to be redefined from its current recommendation-making forum, to a decision-making body. Without Northern Ireland MPs running the NIO, any moves to upgrade the Conference to decision-making would rightly be viewed by the DUP as joint authority by the back door. The ideal solution would be Sinn Féin as part of a Dáil coalition government in talks with an NIO staffed by DUP MPs using the Conference forum to work out a deal whereby the CPA acts as a post-Brexit financial bloc to boost an all-island economy. What also needs to be factored into the CPA mix is the impact on Sinn Féin’s abstentionist policy should Labour’s Jeremy Corbyn win the next Westminster General Election, but find himself needing a coalition partner to guarantee he is handed the keys to 10 Downing Street. Could Corbyn have the political clout to persuade Sinn Féin to ditch a policy it has adopted since its formation in 1905? The carrot could be Sinn Féin MPs taking up posts in the NIO. If the Scottish and Welsh nationalist MPs as well as Labour republicans can take their Commons seats, why not an acceptable form of words for Sinn Féin? The views and opinions expressed in this article are those of the author and do not necessarily reflect the official policy or position of QPol or Queen’s University Belfast.